The Easiest, Fastest, Highest Quality Plug-and-Play USB Video Conference Camera You Can Find at this Price Online! Even if You’ve Tried Other Cameras…You NEED to See This for Yourself! Finally! After years of painstaking, exhausting, expensive research and testing…we have found a HD USB Pan-Tilt-Zoom (PTZ) Video Conference Camera that’s more than good enough to put our trusted reputation on. 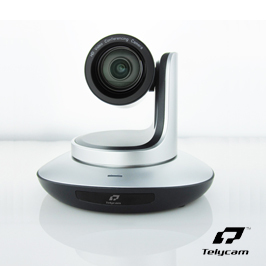 Introducing the TelyCam TLC-300-U2S HD-USB 2.0 PTZ video conference camera. This is by far the best camera we have tested with price and performance…we know this will make your meetings much more productive and boost your efficiency immediately! We have worked closely with TelyCam to refine their firmware to work perfectly with Zoom & Zoom Room's. Other camera companies need to upgrade their internal hardware (PC boards) to adapt to new technologies. In our testing we have thrown every possible application at this camera, without fail it performs great. Wonderful colors and the ability to adjust the brightness for your room environment to give you that perfect image every time. 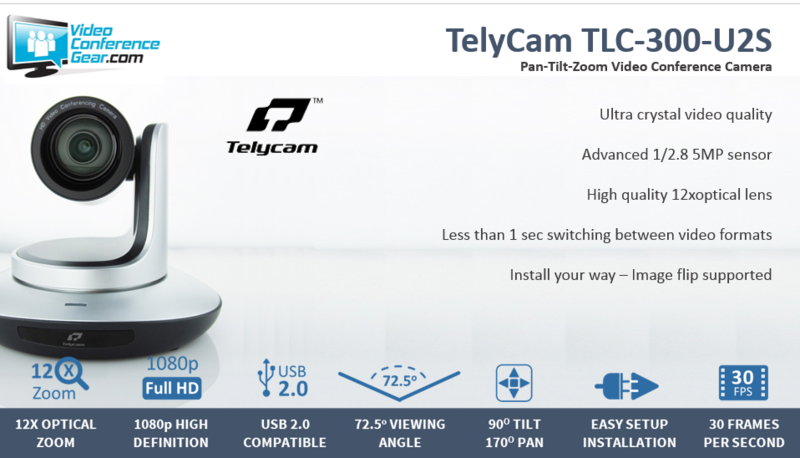 What makes the TelyCam Video Conference Camera so good we’ve put our reputation on it and given our stamp of approval? 100% Plug-and-Play, “No Headache” Installation -Works instantly with both PC's and Mac's. Fastest Startup, Maximizes Meeting Efficiency -There’s no blue screen when camera is first called up, no software to load, and no waiting around for equipment to sync. Press a button and you’re in business! USB 2.0, The Latest Technology - Get the high performance quality of a USB 3.0 camera in a 2.0 model without taxing your CPU. Large 72.5 Degree Horizontal Field of View -Perfect for large and small conference rooms, utilize the wide field of view to see more participants and use your entire meeting space. Quality Built, Well Priced! -Great video conference equipment no longer needs to cost so much! We’ve already weeded out the other cheaper versions and truly found the best value. Give this a try today, you won’t be disappointed! Time-Saving Presets Built Right In -Set the camera to up to 64 different positions to be set at the perfect angle every time! No more adjusting or fiddling before your meetings…just turn it on and go! Plus so many mores system! Tries yours today without any risk! 12x Optical Zoom gives a clear view of even distant faces or props. 72.5 Degree Horizontal Field of View allows more viewers and participants even in tight spaces. UVC Camera Control (UVCC) - Enables far end camera control. Great for Telehealth and classrooms. Fast and Smooth Video Handling keeps meetings efficient and eliminates technical difficulties. 1920x1080 pixels 1/2.8″ Progressive CMOS gives you the stunning, full High Definition experience at a fraction of the cost of larger systems. Ultra crystal video quality: with 1/2.8 5MP sensor Mega Pixel Sensor keeps images crisper, gives you greater detail, and allows for larger screen displays without pixelating or blurring images. 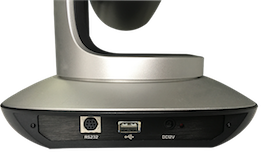 Pan ±177.5 Degree & Tilt +90 Degree allows you to remotely move to different speakers or presenters, keeping meetings moving and giving everyone a chance to participate. 64 Preset Positions lets you just turn it on and you’re ready to go! No configuring or adjusting necessary.